We liked the secluded location, away from the crowds by Manuel Antonio National Park. 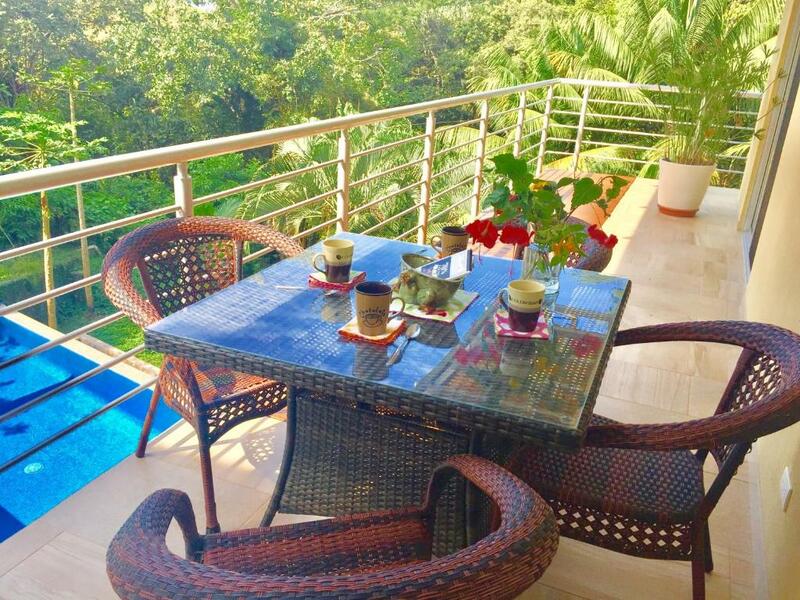 The villa is spacious with a beautiful view of the jungle. Everything is very clean, luxurious, and all of the appliances are top of the line. Luda is very accommodating and helpful. There is an infinity pool downstairs along with a grill that you can use to make dinner. We appreciated the washer and dryer. excellent place to stay, luxury, for it's value , it was worth it. We (me, wife and adult daughter) were very much impressed. I would recommended it to any of my friends who wants to go Costa Rica. This property in person looks far more spacious than the photos reflect. Although not located in the heart of Manuel Antonio, it is just a short walk to the bus that takes you down to the beach. The bus goes very 20 minutes and costs only 60 cents. This apartment is surrounded by trees and is beautifully landscaped. Every morning you can see the large Macaw birds flying over and a myriad of other birds flocking the garden in the morning. The apt feels very safe and secure. Luda the owner is very nice and takes much pride in the cleanliness of her apt which by the way is spotless. The kitchen is conducive for eating in, we enjoyed a few pasta dinners and breakfasts during our stay there. The beds are firm and comfortable, everything is like new as the building was on built 3 years ago. Fantastic location - every morning there were birds and monkeys to observe. The rooms are gorgeous and it's great to have a private pool and BBQ. Highly recommended! Luda, the host, was extremely helpful and informative about the property. Her villa was a pleasure to stay in, with all mod cons. We made full use of the swimming pool and BBQ. The villa is in a great location. La atencion de Luda es impecable. Las instalaciones son nuevas y de super confort. Emplacement idéal, proche de tout avec voiture. Appartement spacieux et très propre. Cuisine très bien agencée. Piscine top, bien entretenue et avec accessoires. Proximité avec la nature et les animaux. Super ! L'appartement était spacieux, très éclairé, bien décoré et situé dans un endroit calme où on pouvait observer plusieurs oiseaux.. La propriétaire, madame Luda, est attentionnée et a rendu notre séjour des plus agréables. Lock in a great price for Villa Ludmila (Adults Only) – rated 9.9 by recent guests! 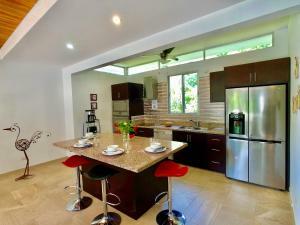 Villa Ludmila is a detached villa with a terrace, located in Manuel Antonio in the Puntarenas Region. 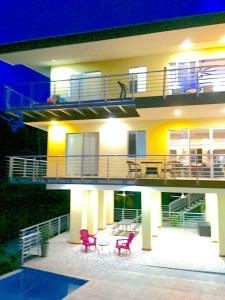 The Villa is 1.2 mi from Manuel Antonio National Park. Free WiFi is provided throughout the property. The kitchen is fitted with a dishwasher, an oven and a microwave, as well as a coffee machine. Towels and bed linen are available at Villa Ludmila. 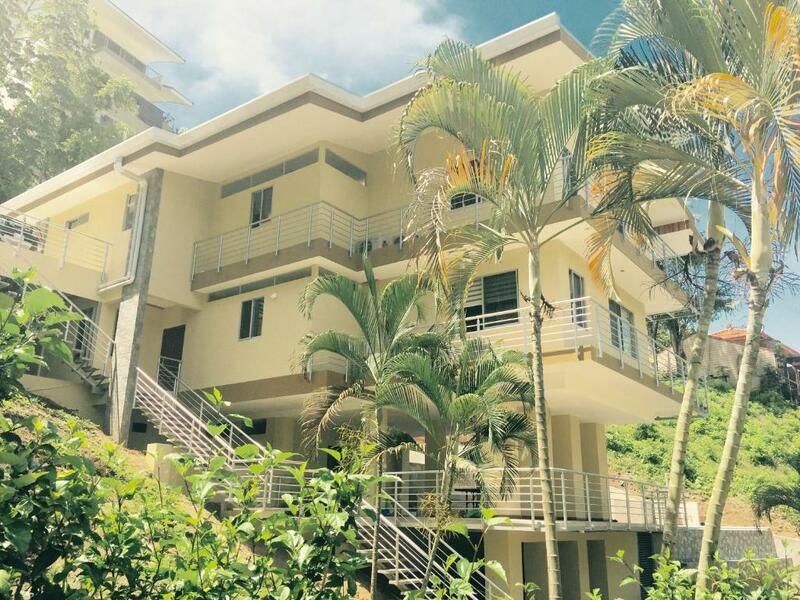 Other facilities at Villa Ludmila include a year-round outdoor pool. The area is popular for horse riding and snorkeling. Villa Ludmila provides free private parking available on site. An array of activities are offered in the area, such as diving and fishing. The nearest airport isl San Jose Int airport 3,5 hours away. When would you like to stay at Villa Ludmila (Adults Only)? This villa has a balcony, private pool and outdoor grill. 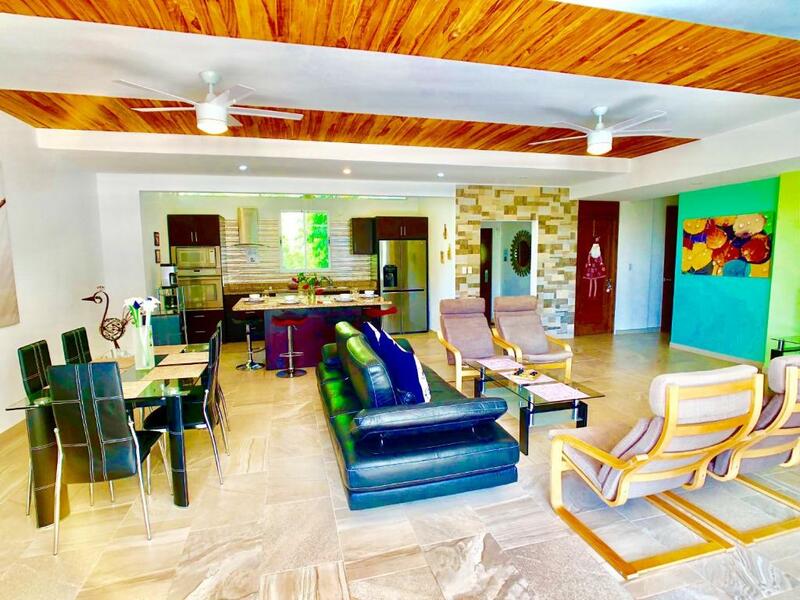 This modern villa is nesteled in the rain forest and surrounded by nature, monkeys, sloths, iguana and other exotic animals frequent the property. Casa Ludmilla is a tranquil and peacful place to relax and also it is very convenient because it is centrally located in Manuel Antonio, minutes away from the national park and some of the most beautiful beaches in Central Anerica, there many restaurants and shops nearby. On our vacation we falled in love with Costa Rica. We decided to retire here and build the house. Here we are. Come visit us and feel as home. VILLA LUDMILA IS A BEAUTIFULL HOME WHERE YOU FEEL IN TOTAL HARMONY. THE QUIET MAKES YOU FEEL AWAY FROM EVERYTHING WHILE YOU ARE MINUTES AWAY FROM EVERYTHING IN MOST POPULAR TOURIST SPOT OF COSTA RICA - MANUEL ANTONIO. House Rules Villa Ludmila (Adults Only) takes special requests – add in the next step! Please note this property also accepts PayPal. There is no lifeguard for swimming pool, guest responsible for their safe. Smoking not allowed in the terrace or inside the house. 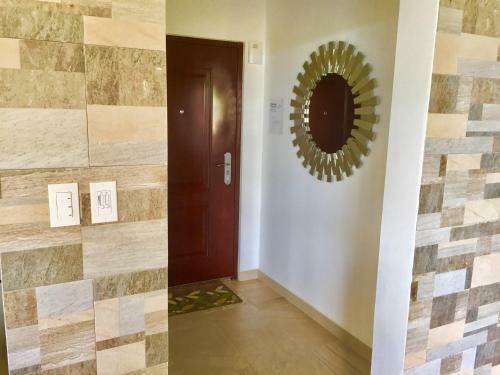 Please inform Villa Ludmila (Adults Only) of your expected arrival time in advance. You can use the Special Requests box when booking, or contact the property directly using the contact details in your confirmation. A damage deposit of USD 500 is required on arrival. This will be collected as a cash payment. You should be reimbursed on check-out. Your deposit will be refunded in full, in cash, subject to an inspection of the property. it little off the main rood, but then again the jungle would not be as close, so can here the jungle sounds. WiFi was a little slow for my kids. The stairs to the villa are steep, which might be difficult to navigate for children under 3. Also the road to the villa is a typical Costa Rican road--steep with potholes. It is best if your rental car has a high clearance. There are pool towels but no beach towels, so it is best if you bring your own. Or do what we did--buy a couple of souvenir beach towels at Josith's Supermarket for $8 a piece (they are more expensive down by the national park).